Facebook organic reach has all but vanished, making it increasingly difficult to reach the fans you worked so hard to gain. Luckily, Symmetri’s campaign management expertise can help you build momentum across social channels and combat the diminishing reach of organic social posts with paid support, allowing your brand to deliver targeted campaigns to a highly qualified audience. 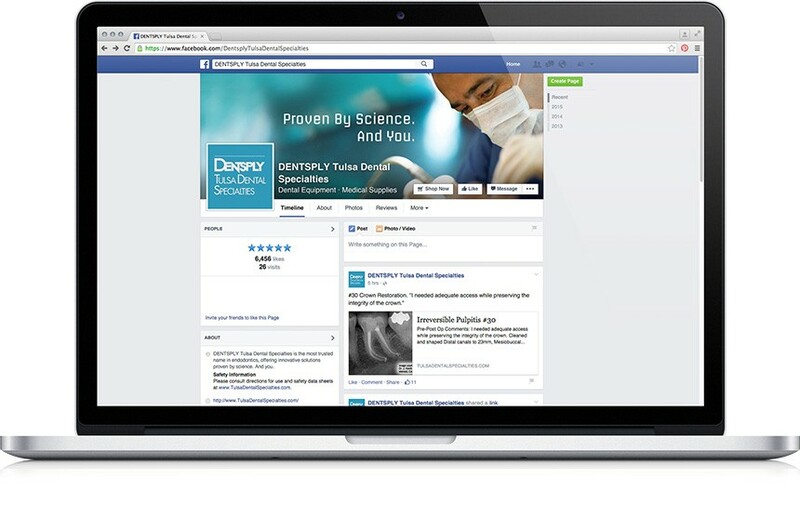 DENTSPLY Tulsa Dental Specialties wanted to establish and grow a strong brand presence on Facebook, supported by a paid advertising campaign. Symmetri leveraged Facebook custom audience targeting to generate audience growth and engagement on their Facebook page. From promoted posts to a more complex creative ad campaign, Symmetri helped give DENTSPLY Tulsa a 3.3x increase in audience growth within the first six weeks of promotion.